“Nigerian Breweries Plc has formally informed the Nigerian Stock Exchange (NSE) of conclusion of merger process as required by the listing regulations,” the company’s Managing Director, Mr. Nicolaas Vervelde, said in the statement. He also said that the name of the enlarged company arising from the merger would be Nigerian Breweries plc and that the company would remain quoted on the Nigerian Stock Exchange. The statement expressed gratitude to stakeholders and regulatory authorities for their support and approval. “The process of operational integration of the two businesses will commence immediately in January 2015. With the conclusion of the merger, the enlarged NB is now enabled to fully capitalise on the opportunities of the Nigerian beer and malt drinks market and create significant value through delivery of broader product offering, operational efficiencies and access to new markets. “The merger is also expected to deliver a number of benefits for its stakeholders including shareholders, employees, consumers, trading partners, suppliers and the Nigerian economy as a whole,” it said. 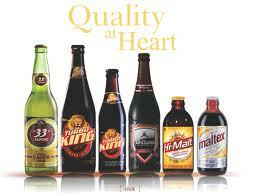 Consolidated Breweries has two brewery plants in Ota, Ogun State and Awo-omamma, Imo State.